They say that the steadfast, resilient and ambitious nature of Capricorn can be likened to our four legged friend, the Goat. 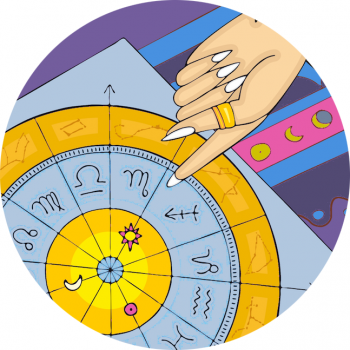 Both are adept at advancing, whether it’s a mammoth mountain that they take on, the corporate ladder or social climbing that’s being done, Capricorn’s steady approach always wins out in the long term. Greek mythology identified the constellation of Capricorn as Amalthea or Amalthia, who was a Mountain Goat or goat-tending nymph. She acted as a foster mother to Zeus as a baby when his mother Rhea stowed him away in the mountains of Crete, saving him from being eaten by his father Cronos, who devoured all his babies after birth. Legend said that as little Zeus played with Amalthea he accidentally broke off one of her horns, which he then transformed into Cornucopia the horn of plenty. This is an eternal symbol of abundance, always full of whatever its owner desires. Aigipan or Aegipan was a goat-footed demigod, also known as Pan or Panes. Son to Hermes and a forest nymph, he lived in the mountains playing his panpipes and chasing nymph’s, as well as overseeing the shepherds and flocks, the mountains, nature and rustic music. Pan had a Goat’s head and hindquarter legs like a faun. He saved himself from the monster Typhon by giving himself a fishes tail before diving into a river. Pricus is an immortal Sea Goat who is favoured by the Greek gods and can manipulate time. He has lots of children who live near the sea shore, however when they find themselves on dry land they turn into normal goats, loosing their special ability to think and speak. Pricus turns back time again and again in an attempt to stop his children from finding their way to land but eventually resigns himself to loneliness and misery, letting the little Sea Goats leave him… He cannot control their fate and doesn’t want to be the only Sea Goat so asks Chronos to let him die. Because he is immortal instead he must spend eternity in the sky as Capricorn. Predating Greek mythology is the powerful Babylonian God Ea, who watched over the land but returned to live in the ocean every night. In Capricorn style he has the head and body of a Goat and tail of a fish. Art For Capricorn The Goat! Clockwise from top left: Johfra Bosschart, Salvador Dali, Unknown, Mustafa Soydan and Carolina Espinosa. Back To The Myths And Legends Of The Zodiac? Aries, Cancer, Libra & Capricorn – Cardinal Rules!